Diamond motifs in a variety of colors decorate this cardigan, framed by dark blue borders. 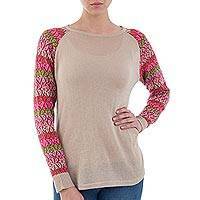 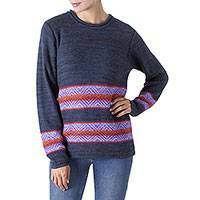 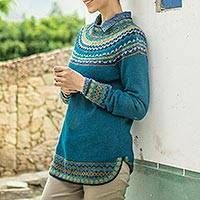 Peruvian artisan Fernando Cano presents the sweater with a handwoven design from 100% alpaca fibers for a soft, comfortable fit. 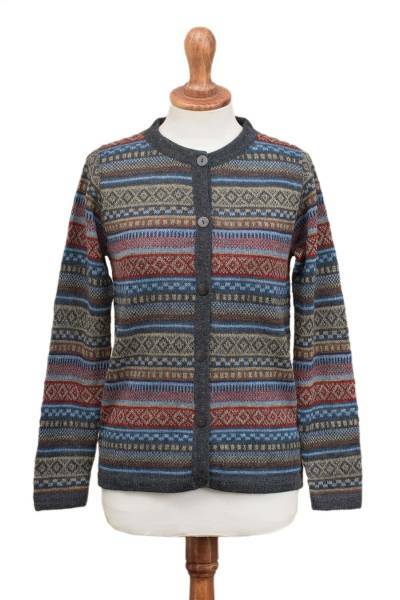 Closing in the front with wood buttons, this cardigan makes a trendy companion wherever it goes.